It would be easy to assume that MENA is at the starting phase of online retail when compared to its Western alternatives, but the fact is that a lot of investors have seen potential investors keen to tap into the e-commerce sector in MENA. The UAE has seen figures of $2.5 billion in previous years, but this is expected to reach $10 billion by the end of 2018. This translates to a growth of 400%. As well as laying the foundations of the MENA e-commerce sector moving forward, the numbers have also spiked confidence among online retailers, most of who are making efforts to improve the online experience for online shoppers. What Has Caused the Growth of E-Commerce in MENA? The popularity surrounding e-commerce in MENA can be attributed to the youthful demographic, who are keen users of online services, as well as having a disposable income. Mobile Internet usage counts for 73.8 percent of UAE’s Internet usage, meaning mobile devices are the device of choice for online shopping. The portable nature of these devices means customers can make an immediate purchase, as opposed to waiting until they get home. In the Middle East, 1000 shoppers were asked how they carried out their online shopping. It was shown that 56 percent of the shoppers used a mobile device for online shopping, while 41 percent confirmed that they have used their smartphone to pay for purchases. Although there is still value in owning a bricks-and-mortar store, the popularity of e-commerce shouldn’t be underestimated. More and more luxury brands are realizing the potential of online sales, with companies like Versace and Gucci investing more time into fine-tuning their online efforts. Even trends adopted by the USA and UK are finding favor in MENA, with Black Friday enticing more customers to the world of e-commerce. Although e-commerce looks to remain a growing industry within MENA this isn’t to say that there aren’t obstacles in the road when it comes to maintaining customer expectations. Although there are solutions available that can help retain customers, there will be a challenge ahead of many businesses when it comes to customer expectations. Artificial intelligence is becoming common within the e-commerce industry and helps streamline communications between customers and businesses. Customer relationship management software can also help e-commerce stores build customer profiles that allow for more tailored marketing. 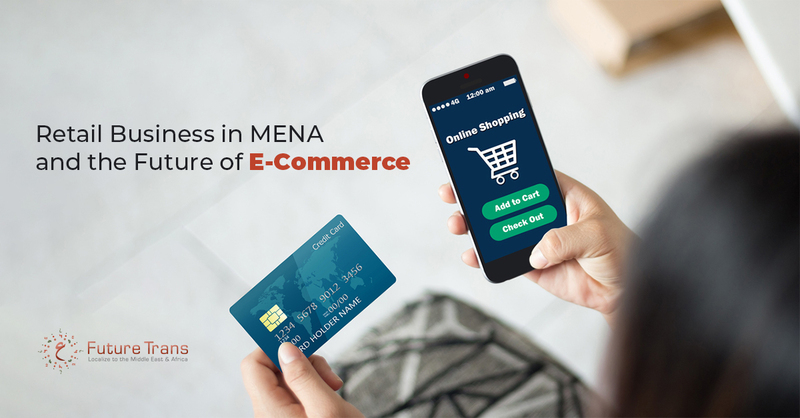 However, given how quickly MENA has adopted e-commerce overall, it shouldn’t be too long before it catches up with the customer experience to match. Although obstacles are present, the smarter a business works when engaging with a thriving market, the more success that can be expected. previousHow Can Translation Services Help Syrian Refugees?